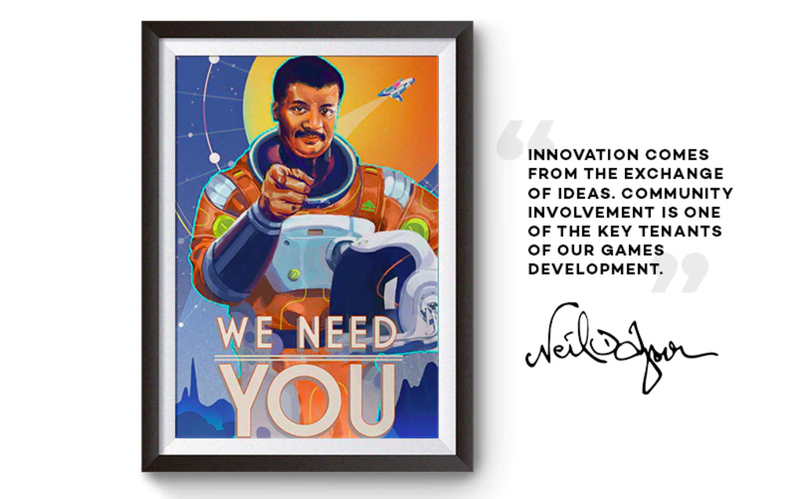 Neil deGrasse Tyson needs your help colonizing Mars. The renowned astrophysicist has launched a “scientifically accurate” galactic video game on Kickstarter. Space Odyssey will allow fans to explore and set up homes on the other planets, with plenty of biology, chemistry, geo-science, and engineering learning along the way. The game follows the Minecraft model, letting players “nurture species, mine elements, build robots, and discover unique life-forms as you coordinate with others in an intense game of real-time strategy,” reads the site. For example, on one’s home planet, a player will cultivate flora and fauna to better understand how life adapts and what species require to survive. Players will also be able to suggest ideas and share feedback to Tyson, who will serve as “space adviser” to shape the game throughout the development process. The fund has already raised $54,194 of its $314,159 goal.